Cusco's South Valley is a little known hot spot for mountain biking, even for Cusco area riders. We’ve ripped these trails for years and believe them to be some of the best around. The Epic South Valley offers riders the chance to mix several awesome South Valley trails – a collection of Downhill, Enduro, and All-Mountain singletracks – into one unforgettable day of riding. 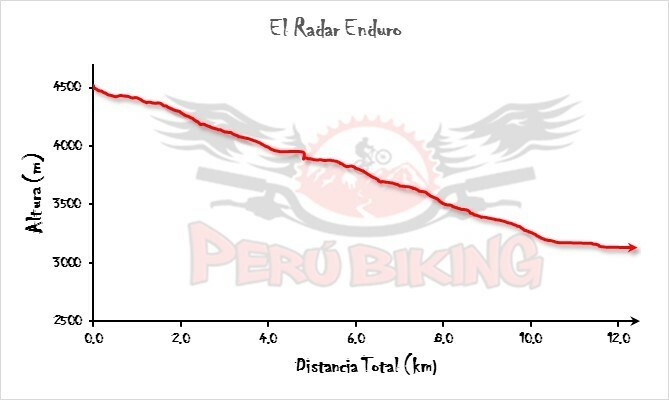 The must do, kick-off-the-day ride, The Radar, is quite possibly the most complete Downhill/Enduro-style MTB ride in our repertoire of Cusco area rides. Starting at 4,400 m (14,432 ft.) with a panoramic view of Mt. Ausangate to the south, this trail is a wide open roller coaster to start. From there, it’s narrow, smile-inducing singletrack – Andes style – that features some gnarley natural rock steps, fluid curves, drops, and an overall 5-star shred rating! We’ll roll to a halt along the banks of the Vilcanota River (3,150 m; 10,332 ft.). We’ll couple The Radar with an additional South Valley ride that offers more stellar singletracks.